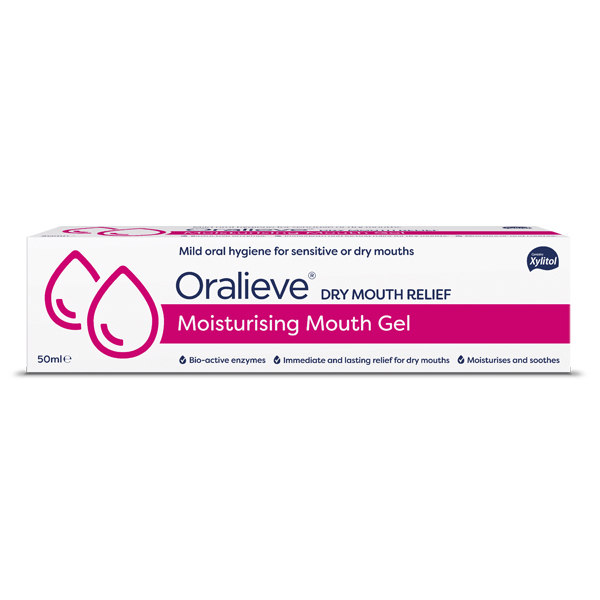 Oralieve Moisturising Mouth Gel 50ml was specifically designed and tested with dry mouth sufferers to replicate the same natural enzyme system as saliva. It works instantly, lasting 2-5 hours during the day and up to 8 hours at night. It has a neutral taste and has good viscosity to enable lasting relief. It is also appropriate for the lips instead of oil-based products i.e. petroleum jelly, yellow paraffin. If you wear dentures, apply the gel to the top of the denture and gums and then apply the denture. When suffering from dry mouth, the essential minerals of calcium and phosphate may not be naturally added by the lack of saliva and this can lead to other oral health issues. Brushing twice a day with BioMinF toothpaste will help to add these minerals, protect from tooth decay and help ease sensitivity pain. We therefore strongly suggest that Biomin is also considered.